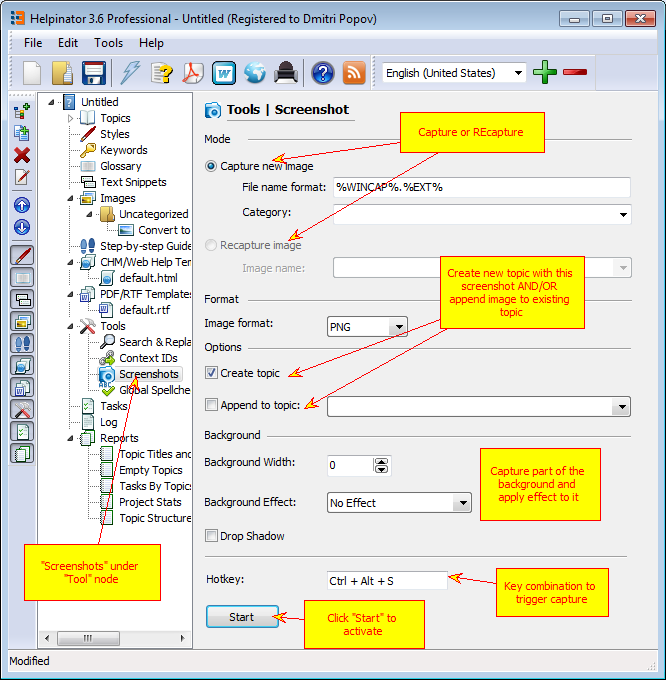 Helpinator allows you to capture screenshots of active windows with part of their background. Image Library serves as a storage for screenshots. There you can add annotation to screenshots and create clones. You can also assign category and automatically create topics for captured screenshots. 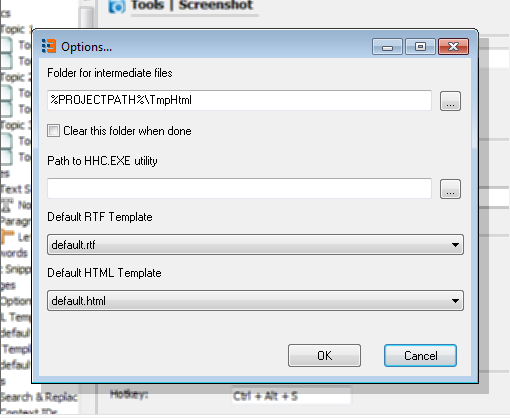 Mode – select what you want to do – capture new image or recapture image that already exists in the library. – “Image Format” – specifies image format to store images to. You can select between PNG, BMP, JPEG and GIF. 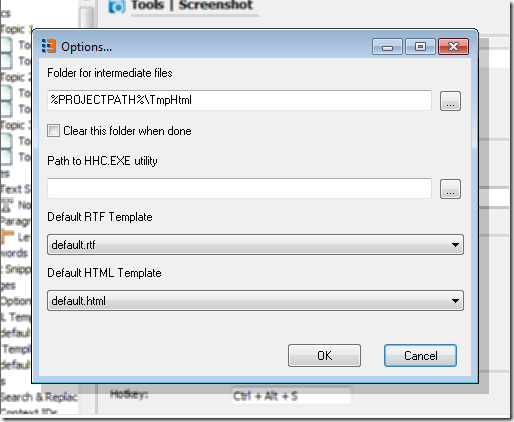 – “Create topic” – if this option is checked then right after a window is stored to the library Helpinator creates topic with the same name containing captured image. 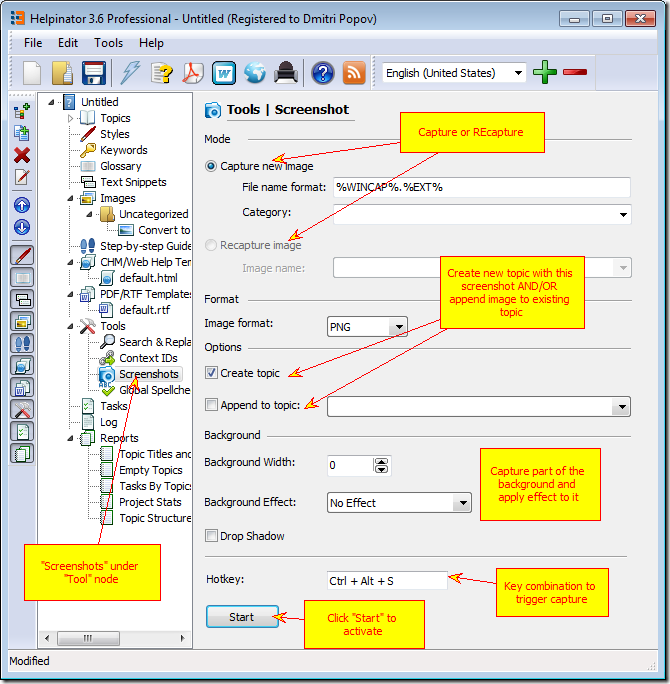 – “Append to topic” – if this option is checked and topic is selected from the drop-down list, Helpinator adds captured image to the end of the topic. – “Background width” – specify what part of the active window background to capture along with the window itself. For example, if set to 30 pixels, then Helpinator will capture active window and surroundings with 30 pixels to the left, right, top and bottom. Set to 0 if you don’t want to capture background. – “Background Effect” – select effect to apply to the background of the window. You can select from Blur, Darken, Pixelate and so on. – “Drop shadow” – check this if you want active window to have a shadow on the background. To start capturing images click on “Start” button. This entry was posted in tips'n'tricks by admin. Bookmark the permalink.